Wine cellar lighting plays an important role in wine storage structures, because the type of lighting you install can affect the effectiveness of your storage room in providing the ideal conditions for wines to age. There are various kinds of wine cellar lighting fixtures to choose from on the market. Choose the one that can accentuate the design and style of your wine cellar. 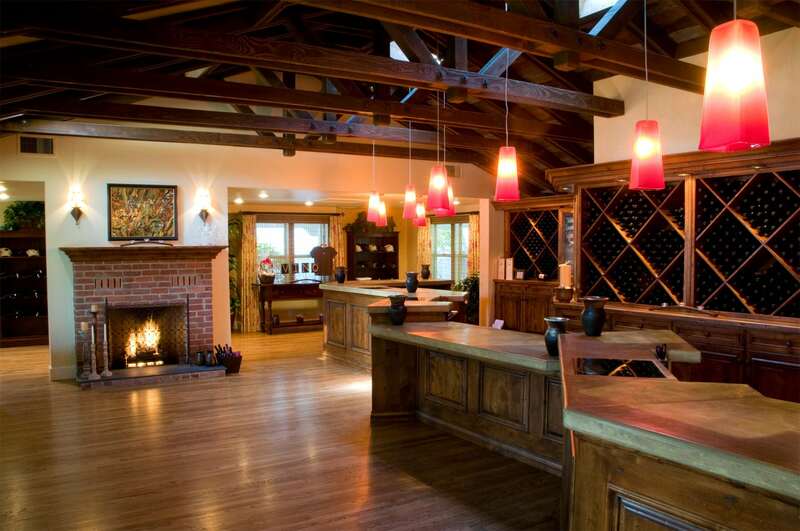 Custom wine cellars in Los Angeles, California can provide the ideal climate conditions for wines to mature properly. These ideal wine cellar conditions can be affected by many factors, and one of them is wine cellar lighting. Generally, wines are bottled in colored glass because they need to be kept in a dark environment, and thereby protected from ultraviolet light exposure. Ultraviolet light can damage wines, because it stimulates stable organic compounds in the beverage and causes these to produce unpleasant odors and flavors. Proper custom wine cellar lighting is able to provide adequate amounts of light for you to read wine labels, conduct wine tastings, and move around and about your wine storage room, without exposing wines to excessive heat and UV light. When designing a residential custom wine cellar in Los Angeles, California, planning the wine cellar lighting is of primary importance. Not only will proper custom wine cellar lighting make your wine storage room more beautiful, it will also protect your wines from damage. When you need to get inside your residential wine cellar to get a wine bottle or to add one to the collection, or simply to check on your wines, the time you spend inside should be minimized. Your body produces heat, and the longer you spend inside the cellar, the more possible it is for your body heat to change the temperature within. This is especially true of small sized custom wine cellars. Proper home wine cellar lighting will provide ample light for you to see where you are going and what you are doing inside the wine storage room. Consequently, the time you spend inside will be hastened. Custom wine cellar lighting should be installed so that unnecessary accidents can be prevented. Without adequate lighting, you might bump into wine racks or tear and snag wine labels, or worse – knock over wine bottles. Wine cellar lighting is not only installed for practical reasons, but also for decorative purposes. Properly installed lighting, whether hidden or in plain view, can add an aesthetic effect on your home custom wine cellar in Los Angeles. Among all the different kinds of custom wine cellar lightings, recessed can lights are the most popular. They come in various sizes, shapes and styles. Recessed can lights are easily mounted on the cellar ceiling, and allow you to highlight the areas in your cellar where they are most needed. In many wine cellars in California, recessed can lights are used as main lights, and even without the addition of other types of lighting, they can create a sophisticated look within a wine storage room. The halogen lighting system, another popular option for wine cellar lighting in California, is a type of recessed lighting. It is a cost effective lighting system, and can effectively create a beautiful ambiance in any wine cellar. Halogen lighting systems have baffles, which are used to control brightness and minimize glaring. Generally, halogen lights produce excessive heat, which is why they should have UV protective coating when used for wine cellar lighting, so that your wines are protected from damage. Furthermore, to avoid contact with the custom wine racks, the tracks should be at least 18 inches off the cellar walls. Track lighting, also known as spotlight lighting, is one of the best choices of accent lighting for high-reveal or vertical display custom wine racks. Compared to recessed lighting, track lighting is easier to install. This kind of lighting is usually ceiling-mounted, but you can opt to mount it on the cellar wall or on cables. Track lighting is very versatile, and you can change its configuration at any time. Track head can be modified and moved according to your preference. Additionally, there are various options of lamp styles to choose from. Wall sconces, an indirect type of wine cellar lighting, are another good option for you. Wall sconces are installed on the cellar wall, and can hold either a candle, electric bulb or electric candles. This type of lighting fixture does not occupy a lot of space, and when properly placed, wall sconces can cast a good amount of light. Wall sconces should be installed at a position that is at least 6 feet above the wine cellar floor, and at least 10 feet apart, otherwise they will make your room look smaller and, may easily be damaged. Chandeliers are ceiling-mounted lighting fixtures that can create an elegant ambiance in a residential custom wine cellar. Generally, chandeliers have two or more lamp-bearing arms, and a complex array of glass or crystal prisms that refract light to illuminate the wine storage room. Chandeliers come in various designs and sizes. The size of the chandelier you need will depend on the size of your wine cellar. The larger the residential wine cellar, the larger the chandelier needed. LED, or, Light Emitting Diode, lighting systems are the recommended lighting to accent archways, arches, corners and high reveal display wine racking. LED lighting fixtures produce a beautiful glow in your wine cellar, and they generate neither excess heat, nor UV rays that can damage your wines. LED lights might be a little bit costly, but unlike incandescent bulbs, LED lights use minimal energy, and thus, you save more in the long run. A custom wine cellar is the safest place to store your wines. 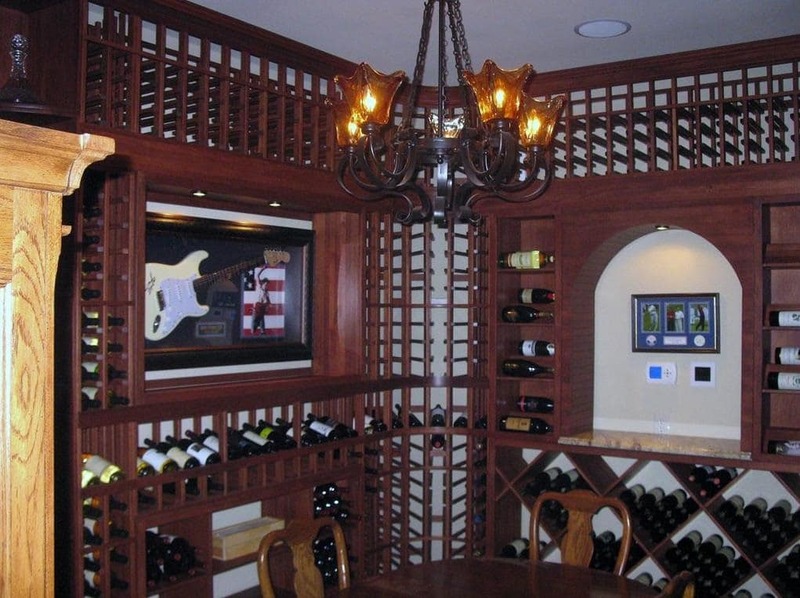 Have a professional design your residential custom wine cellar in Los Angeles, CA. 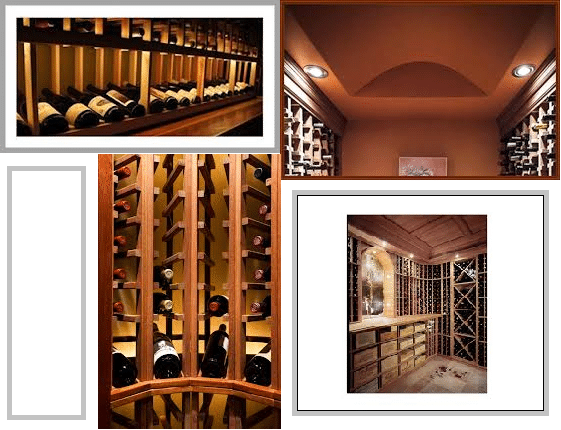 Coastal Custom Wine Cellars is one of the most trusted wine cellar designers and builders in California. Their services also include planning and installing the appropriate wine cellar lighting for your wine storage room. Contact them today, at (888) 735-8889.